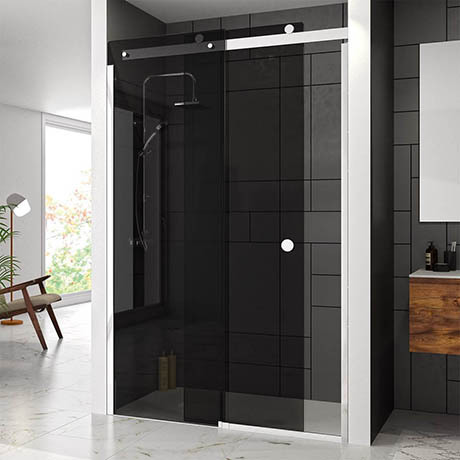 The Series 10 Smoked Black Glass Sliding Door combines innovation with style to produce an eye-catching bathroom centrepiece. The range features 10mm toughened safety glass, quiet glide wheels and a choice of handles to suit your own personal taste. This shower door is ideal for fitting into a recess or can be used in combination with a side panel. With Mershield Stayclear, the protective coating ensures the glass maintains its sparkle for years to come.